The kids are home for the next three months and chances are unless you’ve got them signed up for something or you’re really creative, they’re already bored. Keeping your little ones entertained can be a hard job. The LeapPad Platinum Kids Learning Tablet will keep them occupied and educated as the days get hotter. 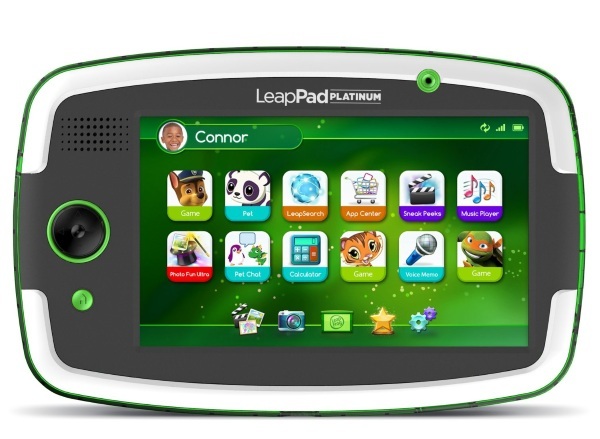 The LeapPad Platinum is a 7” learning tablet designed for kids between the ages of 3 and 9. This is a tough little tablet designed for kids who are prone to dropping, stomping, and perhaps even throwing their toys. There’s 8GB of memory and also a front and back camera. It comes with a kid safe web browser that only serves up prescreened material so you don’t have to worry about them falling into any NSFW content. The device works with a variety of LeapFrog games, books, videos, and music. The library has 1000+ things to interact with all of which has been vetted and approved by educators. This may not be the free roaming game system your kids have in mind but it will keep them occupied while building on the skills they’ve already learned and teaching some new ones. The LeapPad Platinum Kids Learning Tablet is $129.99 and ships in July.